Risen Church is a movement of faith, hope, and love inviting the people of Chesterfield County and Powhatan County, VA to a better life with Jesus. 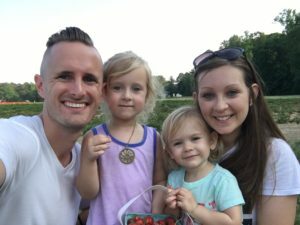 Founding pastors, Drew and Megan Dunbar, have devoted their lives to building a church that would be fun and full of the love of Jesus! A message from Pastor Drew: If you’re looking for a church I’m thankful that you’re looking here and if you’re NOT looking for a church, I don’t know why or how you’re reading this but I’m SO GLAD you found us. Risen Church is a community of people who are passionate about Jesus and we’re convinced that following Him will lead you to a better life and will make you better at life. I want you to consider being a part of this movement so click or tap this BUTTON right under this paragraph and join us soon!